Bristol based street artist CopyRight has been followed around the country for two weeks by the Lynx team to put together this short video about his art, specifically on the topic of angels. 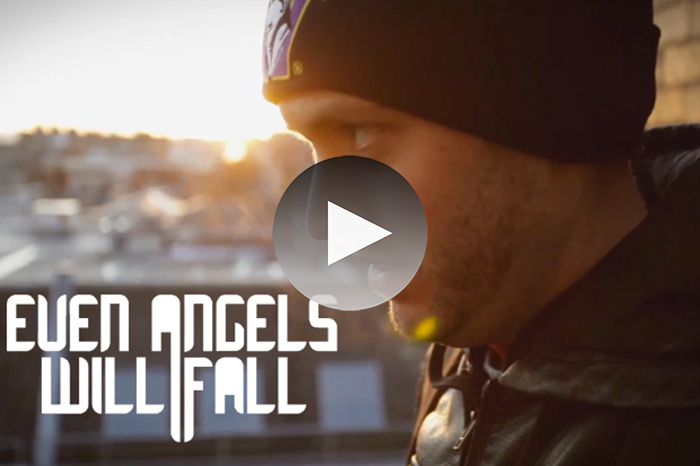 A 4 minute insight into the mind of one of the UK’s highly talented street artists, “Even Angels Will Fall” has been put together by Lynx (yes, the deodorant brand) to showcase CopyRight’s work with angels. Documented over a two week period, the video portrays CopyRight travelling all over the UK as he spreads his artwork and gives us an insight into his views on his subject matter (angels) and street art as a whole. An interesting watch, especially for all you graffiti fans, and it’s nice to see a big brand like Lynx promoting UK talent such as CopyRight. Enjoy.